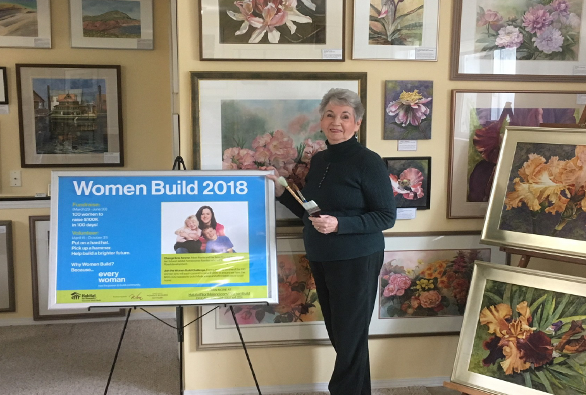 11 am – 5 p.m.
40% of the sales of original art will be donated to “Women Build 2018"
Weekly classes will start on Tuesday, January 16th 2018, 9:30 – noon, for 8 weeks. New original work appears in my studio and, for your enjoyment, in my on-line gallery. My work is shown according to technique and support rather than subject matter. Groups #1 and #2 are traditionally painted, matted and framed originals. Groups #3, #4 and #5 do not need either - they are protected with an acrylic spray, and are much easier to pack and ship! Although some say "you are known for your flowers" I have always sold as many landscapes; you will find a total of about 140 images on this site. Sizes of each image are given and framing can be described by email, as can the options. A few years ago I started to paint with dye on silk and found my skills with watercolour transferred well, and for anyone looking for vibrancy, these are perfect. The dye is steam-set and most are stretched over a canvas frame before a simple black outlining frame is added. 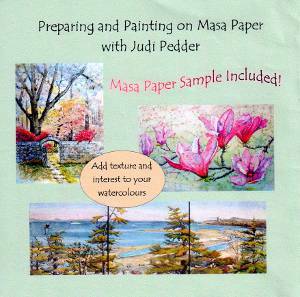 My work on Masa Paper is well known and I'm still helping other artists to explore this technique, in person and with my DVD. Please note that my work is original, meaning only one person can own it, and I do not confuse the market by offering giclees or other prints. Enjoy the 'show' and please contact me with your questions.